Supermarket group ALDI has recently purchased the old swimming pool site on Crow Lane from Bristol City Council. ALDI intend to submit a planning application to build a supermarket and housing on the site. Residents will be able to comment on these proposals as the planning process unfolds. However, this is the third suggestion for the re-use of this site as previous proposals for housing and a church have been withdrawn. It would seem that several parties have attempted to identify what we both need and want from this prime site, and what the community can sustain from a business perspective. It seems therefore, that the community needs to have more influence on the planning proposals that affect us. Bengoughs House closes, Brentry House to follow? Bengoughís House, a 40-bed elderly people's home in Henbury, closed in January. It was run by Bristol Charities who will now convert the site (incorporating the neighbouring area once occupied by the John Milton clinic), into a very sheltered housing scheme, aimed at providing elderly people a more independent life. Additionally, we now hear that Brentry House, another 40-bed elderly peopleís home run by Bristol City Council is also under threat of closure. Whilst the new very sheltered housing provided by the Bengoughís facility will undoubtedly be a more suitable home for some, the local, 24 hour, specialist, City Council provided care offered by both Brentry House and the old Bengough's House is much needed by many elderly people in our area. Apart from your right to review and comment upon planning applications submitted to Bristol City Council in your locality, how can you influence what building and development happens where you live and work? The issue of developments in Henbury and Brentry will be discussed at our Community Conference on 28th June 2008, at Wesley College from 9.30 to 2.00pm. Monday 28th January 2008 saw the official launch of the upgraded CCTV camera system on Crow Lane. The Police and Community Safety were able to show traders and residents the top quality recorded images from a computer screen in the library. The quality system is helping to reduce crime and anti-social behaviour and the images are so sharp they can be used to help prosecute offenders. It is one of the best quality systems across the city and has already proved invaluable to the Police in identifying key suspects in several incidents. A photographer from the Evening Post and a reporter from Radio Bristol covered the event and Councillor Peter Hammond, Chair of the Safer Bristol Partnership was also present to promote the CCTV system. In Henbury and Brentry during the past 4 months there have been 1,659 999 and non emergency calls to police, whether that is to report a crime or to give information. There have been 504 crime reports taken by police, 43 have been detected, meaning a person has been arrested, charged, cautioned or given a fixed penalty notice. 407 crime reports have been filed with no further action due to insufficient evidence to proceed, this is due to people not willing to provide information or a witness statement which is needed in order to pursue a prosecution. 54 crimes are still being investigated. When I walk to school I feel safe because I walk to school with my sisters. At night time I don't really feel safe because of people going around with knives I would rather walk around in groups with my friends or with my family. Sometimes I play with my friends at night times or just walk alone. During the day I feel safe walking on my own, but at night I wouldn't walk on my own, as I feel unsafe and not sure what is around me. I prefer walking with someone or as a group. Where has all the respect gone?! When ever we hear of any bad news in the community in our house, all I hear is "when I was a kid we could not get away with half of what you kids do today". I personally feel embarrassed as a kid, because of the generation of kids I have grown up with and know personally who have no respect for other kids let alone adults. It comes to something when people living in our community will not go to the local shops and buy a pint of milk or a loaf of bread at certain times of the day for the fear of being verbally abused by some kid dressed in a hooded top disguised as some Jawa thing from Star Wars. I have lived in Henbury all my life I have gone to the local schools here, I like living here in Henbury. I have been actively involved in the various community events over in the last few years, but lately I have been feeling when I am old enough I want to move away and make a good life for myself and my family. All I would like to say on behalf of my generation is: SORRY, but there are a lot of kids who do respect their elders and try to do the right thing. Join us on the Strengthening Families, Strengthening Communities (SFSC) parenting programme, a 13 week course starting on April 21st at Southmead Children's Centre. SFSC is being promoted by the Racial Equality Unit via Single Parent Action Network in the southwest. The weekly programme supports parents, through increasing their confidence as their children's first teachers and positive role models. The programme also helps parents to improve their relationships with their children, increasing their children's self- esteem, social responsibility and competence. Families are encouraged to celebrate their roots and traditions, fostering tolerance and preventing community violence. FREE lunch and creche available ( must be booked in advance). To find out more, please contact Kath / Emma, Southmead CC, tel. 0117 3772343, or Julie Warner, Health Visitor, Southmead HC, 0117 9507000. 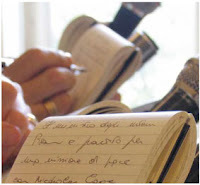 The Henbury and Brentry Newsletter is seeking a broader age-range of contributors. We'd like young people from our area to get in touch if they think they have a story or issue they would like to help us cover or if they want to join our group on an ongoing basis. So, if you or someone you know would like to get involved, we'd love to hear from you and give you the opportunity to see your work 'in print' (and on the web, obviously!). A Dispersal Order enables the police and local authorities to work together to identify problem areas where people feel threatened by groups loitering, causing intimidation and acting in an anti-social manner. Where there is a persistent problem with such groups, a police officer above the rank of superintendent can designate an area a 'Dispersal Areas' for up to six months with the local authority agreement. This area could be as small as a cash-point or as wide as a whole local authority, as long as there is evidence of anti-social behaviour. In Henbury the area covered by these powers is Crow Lane and the surrounding area bordered by Station Road, Tormarton Crescent, Passage Road, Ellsworth Road and Clavell Road . Within designated areas, the Police officers have the power to direct groups to disperse where a relevant officer in uniform "has reasonable grounds for believing that the presence or behaviour of a group of two or more persons in any public place has resulted or is likely to result in any member of the public being intimidated, harassed, alarmed or distressed". Individuals can be directed to leave the locality and may be excluded from the area for up to 24 hours. Any person that contravenes a direction to disperse commits an offence for which there is a power of arrest. A Dispersal Order is a tool the police will use to disperse persons away from an area where there are problems, however this does not guarantee we are going to get any extra resources in Henbury. Henbury & Brentry are experiencing increased levels of crime and anti-social behaviour, particularly on Crow Lane. The Police need you to report any incidents, as insufficient evidence often prevents them from proceeding with prosecutions. There are many ways to report incidents, although witness statements are more likely to lead to positive outcomes. Please help your community and " REPORT IT". Bristol City Council Anti-Social Behaviour team (ASB) can be reported to the 'It's Your Call' hotline on 08456052222 or email asb@bristol.gov. Another way to report what you see is by using the incident reporting forms and post box, located in Henbury Library on Crow Lane. You can use this form to report any incident, which if necessary will be passed onto the Police, Bristol City Council, Social Services etc. The forms will be collected regularly by the local beat managers/PCSO. The SEARCH group is a partnership of agencies, residents and community members, who meet every second Friday of each month at Henbury Youth centre, Machin Road at 10.00am. Every other month we have a walkabout and identify any problem or issue, such as graffiti, fly tipping, criminal damage, litter and so forth, which are then passed to the relevant agency or actioned by the group. If you see any of the above you can report to Bristol City Council call centre on 0117 9223838. The group has recently been involved with opposing a alcohol licence application for a potential convenience store on Crow Lane and keeping up to date with planning applications for development. We welcome new members to the group and if you are interested in joining the group or want more details contact: Cheryl Coles on 07810506846 or email Cheryl.Coles@bristol.gov.uk. Thank you all SEARCH group members for all their support and hard work last year. We look forward to another successful year. Do you care about your community? Do you want someone to talk to about it? Do you want to make a difference? Come and share your concerns, issues and ideas with the community safety team who will be able to help you. The local Police, the Local Councillor, the Community Safety Officer, the Housing Officer and the PCSO hold a monthly drop-in at Henbury Library, Crow Lane on third Thursday of each month from 3.30 pm - 5.00 pm. 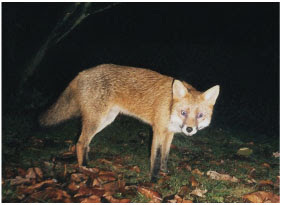 People that live in Bristol share the city with an impressive array of mammals, some of these only found in a few other cities. Even luckier are those who live in Henbury as alongside urban wildlife, we enjoy plenty of open spaces where animals can be spotted. Blaise Castle Estate and Henbury in general, host many popular native British mammals such as badgers, several bat species, foxes, hedgehogs, moles, rabbits, roe deer, several rodent species, shrews, weasels and also some non-native ones, such as the grey squirrel. Although many of these animals are found throughout Britain, some of these (such as deer and badgers) are rare in urbanized environments so this makes Henbury quite a special place in which to live. Henbury also hosts several important bat roosts. At the time of writing, spring is well on its way particularly because of the mild winter we have had. Spring is a really special time for mammals. Hedgehogs come out of hibernation and so do bats, though with global warming, milder winters sometime mean that these species can occasionally be seen during winter. Most species have their young at this time of the year so that the youngsters can grow when food is plentiful. As spring gives way to summer, it is possible to see fox cubs playing, rabbits straying away from their warrens and at night, badgers and hedgehogs in their excursions in search of food. At dusk it is easy to see bats flying to catch their meal and to spot some more elusive neighbours such as roe deer, mice and voles. Some other animals we might rarely or never see but nonetheless they are there include weasels, moles and deer fawns, who are the trickiest to catch a glimpse of. In summary, in Bristol and in Henbury in particular, we share our neighbourhood with an impressive number of British mammals and there are many opportunities to see them all year round. Of course, there are also amphibians, birds, reptiles and invertebrates but thats another story! 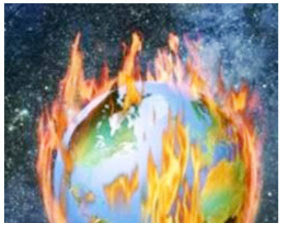 The latest report by the Intergovernmental Panel on Climate Change was released recently and was used as the scientific basis of discussion at the recent climate change summit in Bali. The report draws together the results of all the main research on climate change and presents some alarming conclusions. The work of the Intergovernmental Panel on Climate Change was recognised by its being awarded the 2007 Nobel Peace Prize jointly with former US Vice-President Al Gore, who has himself campaigned tirelessly over the issue of climate change. Some of us in north Bristol who have become very concerned about these issues are hoping to get together a group to address questions of climate change and what we can do about it. We would like to build on the work of 'Transition Bristol' who are gathering ideas as to how small communities can work together to try to reduce their negative impact on the planet. Brentry Church, Lower Knole Lane, Brentry, BS10 6SA at 7.30 p.m. on Wednesday 12th March. All are welcome. Lawrence Weston Community Farm is a community managed project and charity that aims to improve the quality of life for local people and it's service users by providing a range of innovative, exciting, educational, environmental and recreational activities in Lawrence Weston. The farm is particularly interested in combating social exclusion and providing a safe and supportive environment in which people can flourish and contribute positively to their community. The farm is a seven acre site in the heart of Lawrence Weston. The Peoples Building houses the office, toilets, classroom, kitchen and community room. The Animal House provides a home for all the large animals and most of the small animals. There is an apiary where the bees make delicious honey, a fabulous secret garden complete with poly tunnel, an outdoor soft play area for the summer months, picnic area, an animal village that is home to our small animals, a volunteer cabin, an orchard, duck pond, compost heaps, outdoor pig pen, chicken coop and three large paddocks. To meet the costs of providing free access and keeping the farm open all year round, the farm is dependant on funders and supporters and, of course, all of our dedicated, hardworking volunteers. There is a membership and an 'adopt an animal' scheme which also help to meet costs. 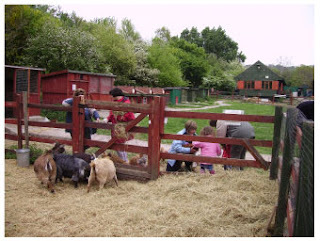 All sorts of opportunities are available at the farm including Open Network College courses in Animal Care and Gardening; adult craft sessions; children's Crafty Club, Farm Hands after school club for 8-12 year olds, volunteering for those that are 12 +, bee-keeping club, lunch club, the Green Finger gardening group and Farm Tots under 5's group. 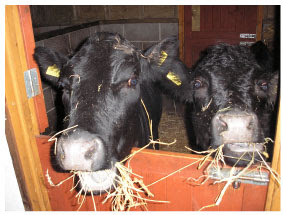 The farm is open Tuesday to Sunday: 9.30-3.30 in the winter and 9.30-4.30 in summer. It's really worth a visit and it's free. Once you've been you'll be hooked! The Henbury & Brentry Christmas Crackers on Crow Lane event took place on Monday 17th December 2007 and was a big success. Once again the weather was kind to us although it was absolutely freezing. 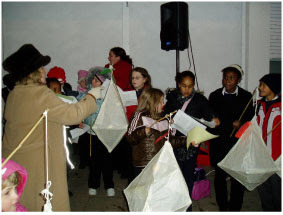 We ran a lantern-making workshop on Saturday 15th December for children to make their lanterns to carry in the parade. We bought and wrapped 110 presents for Santa's sack and all were given out. 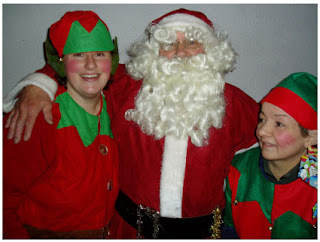 Elliott-Taylor (PCSO/Elf), Graham Pratt (Santa Claus), Christine Pratt and April Richmond (Elf) who contributed their help and time to make the event a success once again. The events group is always looking for more community members, so anyone interested is welcome. Many residents will be aware that Henbury School was designated as a specialist Arts college from September 2007. You may not know, however, what that means! Specialist schools are recognized as being centres of excellence in particular curriculum areas. The government then gives them additional resources to support the development of that subject within the school, in order to raise standards and to carry out work with the local community and neighbouring schools in order to provide them with new opportunities as well. Already, staff at Henbury have worked with a number of our local primary schools on art projects and music activities. A local community art group is coming into school each week to make the most of our resources here and we would like some more! If you are part of a visual or performing arts group who would like to develop links with the school, please get in touch with either John Bennett (Art) or Alastair Stewart (Performing Arts) at the school, on Tel: 903 0100. We are keen to use the schoolís status to benefit the whole community. A small trench measuring 4 x 2 metres has been opened up in the field in order to locate the position and nature of the Roman road which runs from Shirehampton to Gloucester, sections of which have been picked up in the Henbury school playing fields. To date, however, work has been somewhat slower than anticipated largely due to a combination of inclement weather, the Christmas break and dark evenings but it is hoped with spring approaching that progress will soon be made. The removal of the turf has revealed post-Medieval top-soil and a small collection of associated finds. These include 19th century clay pipe stems and one incomplete clay pipe bowl, other finds include some post-Medieval pottery but nothing of significance as yet. Breastmates is a group for expectant and breastfeeding mothers, their babies and children. The group meets weekly during term time (Wednesdays 11.30 - 1pm), at Henbury and Brentry Childrens' Centre. Currently about 5 mothers and their children attend each week. The group provides an opportunity for mothers to receive support, enabling them to continue breastfeeding for as long as they choose to do so, whilst meeting and socialising with others and sharing experiences. Some weeks, the group has visiting speakers, or there is discussion relating to specific topics. It has become a valued group by its members. New expectant and breastfeeding mothers are always welcome. The Henbury and Brentry Newsletter goes online! The editorial team are pleased to announce the launch of the online version of the newsletter. It was felt that if we could create and maintain a website, it would enable us to reach a wider and more diverse audience. When considering what we needed from the site, we thought about how it could support our efforts in getting your feedback and bringing you much more information in a rich format. We have therefore chosen a blog format. For those unfamiliar with this term, it comes from 'web log', which basically means a series of entries on a web page, much like a journal. In addition to the entries (so articles from the paper newsletter) there is the facility for site visitors to comment on each entry. We're hoping that everyone who wants to say something will come to the website and give us their views. In addition to replicating the articles from the paper, we can also add more photos, helpful information and links to local services, an up-to-date 'dates for your diary', a cross-referenced archive of past stories and downloads of the paper newsletter in electronic format. In the future, we're also going to be offering a poll on local issues. The foundation stone for the present building was laid on 3rd April 1954. However for some two years before this, the Church had been meeting in a wooden hut (at the side of the present Church), which was destroyed by fire in October 1991. Our Church is named after Kingsland Congregational Chapel, Kingsland Road, Bristol, which was badly damaged during the last war. The congregation there agreed on the sale of their premises with the proceeds invested in a Free Church at Henbury, hence 'New Kingsland'. 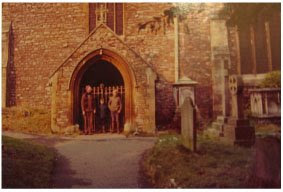 When the Congregational Church of England and Wales and the Presbyterian Church united in 1972 New Kingsland Congregational Church became New Kingsland United Reformed Church. For the last five years we have been without a Minister, prior to that we shared a pastorate with Thornbury URC for ten years. Our numbers are small -seven Church members, two elders, one non-serving elder and seven adherents. Our average congregation on a Sunday is ten. Our Church is situated in Passage Road (The same bit of Passage Road as Henbury Social Club!) . Many readers will be familiar with the Mansion House at Blaise and the Museum which is housed there, but few will probably know much about its origins. seen today. The best views from this site are to the south so the house was built with the major rooms facing this direction and at the same time making the best use of the available sunlight. The first floor also provides excellent views of Castle Hill and the Castle itself. 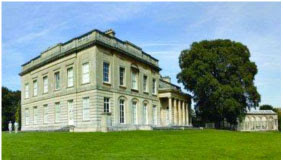 It was designed by a Bristol architect William Paty and the foundation stone laid by the owner Mr. John Scandrett Harford on 1st December 1795. After roofing was completed in October 1796, there was a celebration dinner at the Blaise Castle Inn with a gallon of ale all round for the seventy workmen. The impressive Picture Room was a later addition added by John Scandrett Harford's son and was constructed in 1832-33 between the South East front of the house and the Conservatory. The garden entrance to this room has a massive collonade of six Ionic columns leading onto the terrace which is bordered by a balustrade and several ornamental urns. This room remains today as an elegant tribute to the architect and houses a fine collection of paintings from the City Art Gallery. In August 1969 my husband's workplace was moved to Bristol. Unwillingly he, our sons Peter (11) and Colin (9) moved house. Henbury was chosen for our new home, for several reasons: it was closest to Ken's work, there was green space for our country-reared children to roam in the shape of Blaise Castle and Moorgrove Wood and most importantly, there was the local school. Henbury Comprehensive School was then only a few years old. Its first head teacher John Luget was energetic, experienced and wise. He gathered round him staff whose interests were wider than outside the school bounds. Thus the school became known nationally as an example of the comprehensive system. And certainly, it established good careers and useful lives for many young people. About the same time, Henbury Conservation Society was founded by several older Henbury inhabitants who welcomed new residents from the start to an expanding village (Henbury) preserving where possible and developing sensitively when necessary. The most important changes lie in the village itself. Where the present newsagent is, there was a thriving village shop, an invaluable Post Office, which sold a selection of groceries as its stock in trade. Next door, in the corner house, the front door opened to show a single counter with a display of sweets in jars, trays and tins. The converted barn next door was a hairdresser -always good for a cut and blow dry, a cup of tea and a chat! Across the road from the Post Office was Mrs Lynch's as it was known. Unusual for 1970, she had a small deep freeze from which we could buy cuts of meat and sausages. With these four enterprises, we seemed to manage without the Mall! Though much has changed, Henbury is still a good place to live and at times, most particularly when the annual flower show is held at the village hall, the community spirit is still there. Molly Coghill, Henbury resident, aged 86. Our aim as a group is to provide a service to the community so that you can get to know other local people whilst enjoying a break from everyday life. 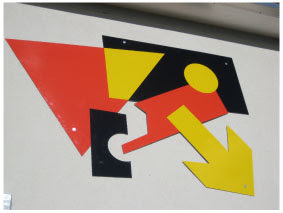 In September and December 2007, two groups amounting to 25 people travelled from Henbury to the German city of Berlin. Everyone thought it was a great place to visit and enjoyed the stunning architecture, museums, parks, art galleries, shopping and of course, the remnants of the wall. Although everyone did their own thing, no-one was left out and we enjoyed at least one meal together in an Australian restaurant overlooking the Europa Centre. Those who went in December had a more wintry feel to their experience and could wander around the various Christmas markets. There was no snow though. Keep a look-out for the next city break, likely to be mid-October. Why not post a comment with a suggestion of where to visit? This year we are testing demand for something more adventurous with a trip to Jordan and an included side visit to Jerusalem, Israel. 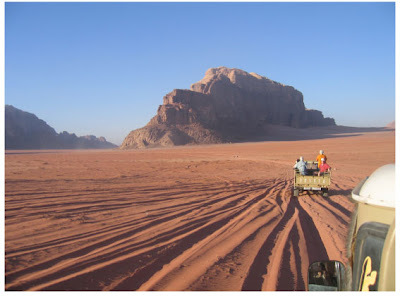 Highlights will include the rock city of Petra, Wadi Rum, the Dead Sea and the old city of Jerusalem. Good quality hotels will be used, plus one night under the stars in the desert at a Bedouin Camp. Don't be put off by the news stories, the Jordanians are very friendly people and you'll have a holiday to remember for along time to come. For full details, request a brochure from Paul Thompson on 0117 950 1951 or email paulthompson@activemail.co.uk. Sat 23rd August to Mon 1st Sept 2008, £1045 half board (many extras included in the price).